Washrag puppets are easy and fun. I have seen cute tutorials for them by Martha Stweart, Cathie Filian and more. Sometimes necessity is the mother of invention. 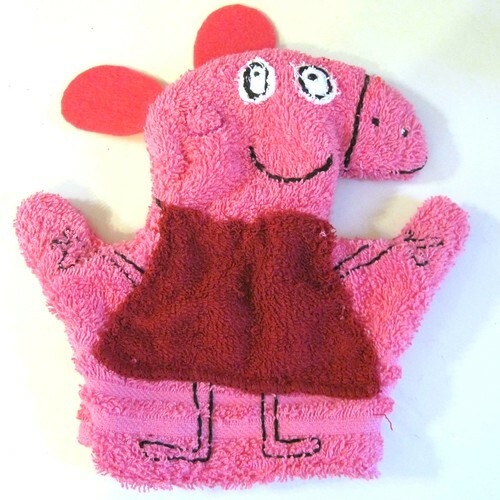 No washrag puppets are not new, but I have never seen a Peppa Pig one. One of my daughters favorite shows on Nick Jr. is Peppa Pig. It is an English show so finding toys, books or any kind of Peppa toy is tricky business. That is unless you take matters into your own hands and make your own. 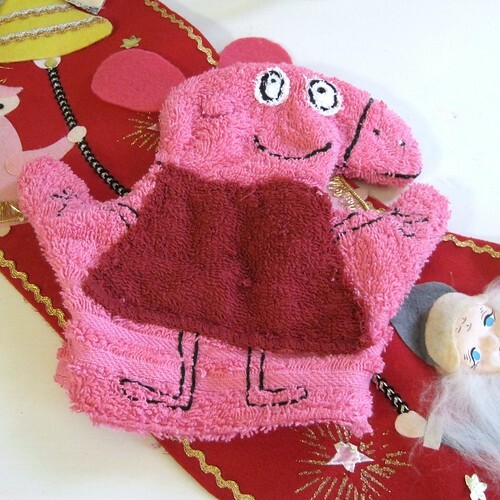 I cut out the rough shape of Peppa to make the body of the puppet. I cut out a dress from the red rag and eyes from the white. I embroidered all the details. My mom turned right sides together and stitched the puppet up. All that is left to do is stick this cutie in a stocking. 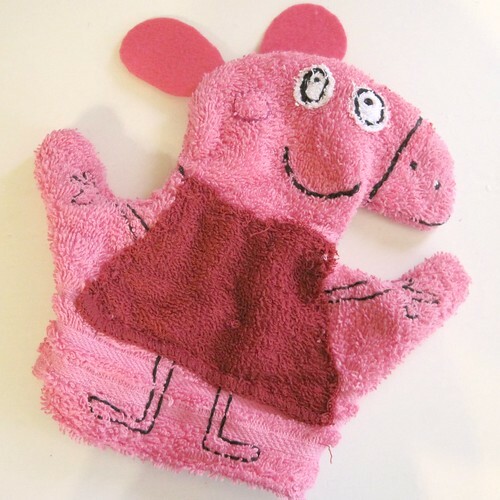 I am planning on making one for Baxter too of Peppa’s younger brother George. Puppet theatre in the bath tub. Posted December 12, 2011 & filed under Christmas, Kids, Needle Arts.